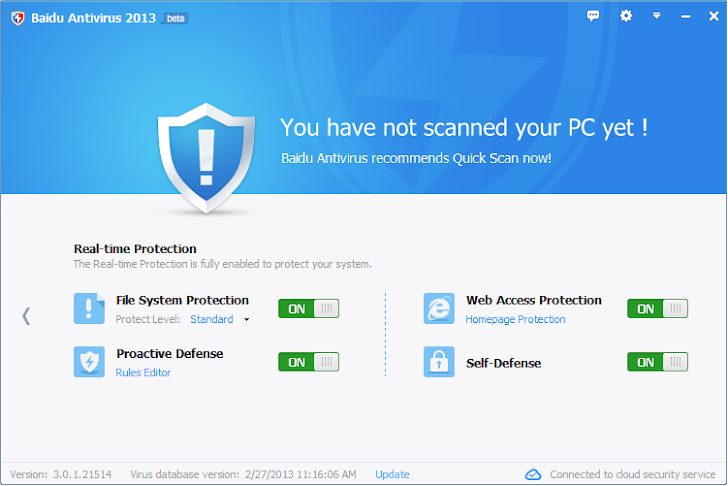 Chinese search engine Baidu has just launched a security product called Baidu Antivirus 2013. Described as a ultra light weight, easy to use, extremely fast anti-virus program that promises to protect your system from malware, viruses, spyware, adware and other malicious programs. Most interesting thing is that Baidu Antivirus comes only in English. Back in January, Baidu launched Baidu PC Faster, a software suite designed to fix speed and performance issues. The program combines the Baidu Antivirus Engine and Baidu Cloud Security Engine with the Avira Antivirus engine to provide you with complete protection against all online threats. "Baidu Antivirus offers an easy to use interface with several advanced configuration options as well as quarantine of infected files. It also has an extremely small memory footprint, so you can actually do other things while it is running on your computer. Other features include automatic updates, Host Intrusion Prevention System (HIPS), scan reports and more." description reads. 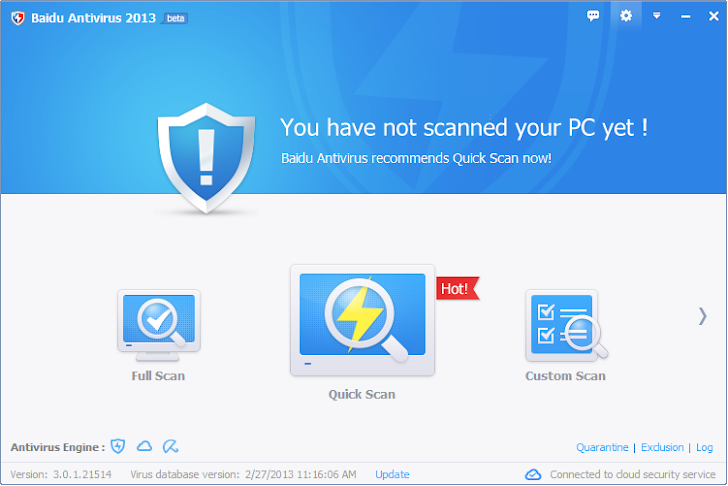 You can download Baidu Antivirus 2013 here and please note that, its a Chinese product, so use at your own risk !